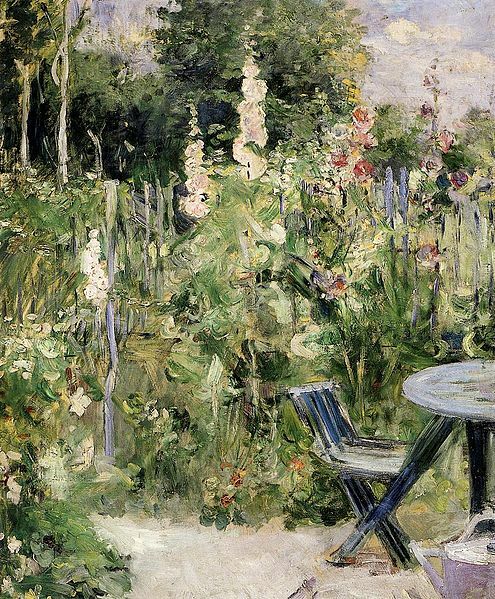 Berthe Morisot, a 19th century French painter, is full of extraordinary talents. She was one of the handful of women painters during the Impressionist period. Her talents stood her in good stead and she was one of the few artists that were able to exhibit works with the Impressionists as well as in the prestigious and highly selective Paris Salon. Her works are still enjoyed to this day as a major example of French Impressionism.With her wealthy background, Morisot’s works showed the life of the bourgeois in their relationships, their lifestyle and their clothes. Today, viewers of her paintings see the normal, everyday life of those people who lived in the 19th century. Berthe Morisot was born in the same year as Pierre Auguste Renoir – 1841 – to a well-to-do Parisian parents. Her father was a highly-paid government official in Paris who aspired to be an architect when he was younger. It was her mother who encouraged Morisot and her two sisters to paint. They were first sent to study under the tutelage of Geoffrey Alphonse Chocarne, an academic painter who taught them the basics of drawing. Later they were taught by Joseph BenoîtGuichard, who was a pupil of both Romantic painter Eugène Delacroix and Neo-classical painter Jean-Auguste-Dominique Ingres. Her eldest sister was not too interested in art lessons and Edmé and Berthe were the only ones that continued to receive instructions in art, visiting the Louvre often to study the works of the old masters, a practice she retained all her life. Later the Morisot sisters studied plein air painting under foremost French landscape master, Camille Corot, who sent them on painting trips during the summer to various beautiful locales, with the rest of the family rearranging their holidays to coincide with their painting trips. Berthe Morisot and her sister continued to study and paint untilEdmé got married and stopped painting. Only two of Edmé’s works survived to this day. Berthe on the other hand did two portraits – one of her mother and her sister and one of the pregnant Edmé. Morisot doubted her artistic abilities after her sister’s marriage and the start of the Franco-Prussian War despite that fact that she was highly regarded in artistic circles. But soon enough, she started leaning towards Impressionism, as she met several of them through her friend, Édouard Manet. At that time, the art world in France was dominated by L’Ecole des Beaux-Arts that was also responsible for the selection and administration of exams and sponsorship of the Paris Salon. The juries mostly selected academic works, shunning and excluding paintings that did not conform to their strict standards that bordered on the traditional styles of painting. While Manet encouraged Morisot to continue producing paintings that could be exhibited at the Salon, he himself had been dissatisfied with it and like most of the Impressionists, had received rejection from the Salon several times. 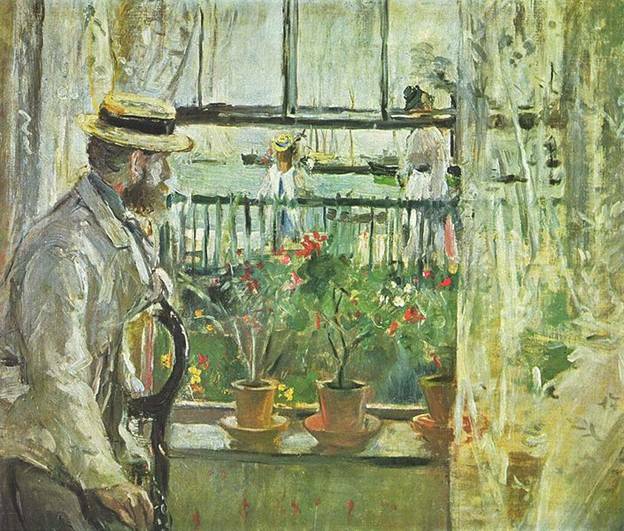 It was through Manet that Morisot was influenced by the more avant-garde approach of the Impressionists who incorporated brighter colors and light into their work. It is believed that Berthe Morisot joined the Impressionists due to their revitalization of the genre scenes and she had done plenty of those since her debut exhibit with them. What’s ironic was that her work received a favorable response from the Salon while the other Impressionists struggled to be accepted. Morisot’s most popular genre work was called “The Cradle” that featured her sister Edmé looking lovingly at her new born daughter. Morisot married Eugene, EdouardManet’s brother, but she used her maiden name as an artist. She continued to paint and exhibit with the Impressionists, only stopping when she gave birth to her daughter, Julie. She also sponsored several up and coming artists such as Georges Seurat. Morisot never forgot that she was a wife and mother despite enjoying her work and her success. She worked from home but relegated her studio to the back of their property and stopped working at the end of the day to attend to her family. She was able to balance family life and career, thanks to the full support of her husband. She enjoyed the freedom of being an artist, likewise reaping the rewards from her marriage to someone who understood the life of an artist. Her marriage also gave her emotional, social and financial stability to expand her career. It seemed that the other women who became prominent painters during Morisot’s time all came from similar backgrounds and circumstances, like Mary Cassatt, Marie Bracquemond and Eva Gonzales. Their affluence allowed them the liberty to pursue their interests, compared to the women of the workingand lower class. From 1874 when she got married until her death in 1895, Berthe Morisot produced 350 paintings.